Quick Recitherapy Reader Participation Time: i've made the 'commenting' process much easier, now all you have to do is type your comment down below, select "name/URL," type in your name and enter in that crazy text code they give you and you're good. no more having to sign up. SO- my husband and I have been debating this... would you be more likely to buy & read an e-book or an actual paper book? Leave your name and answer below and I'll enter you in the drawing for our 1st GIVEAWAY! 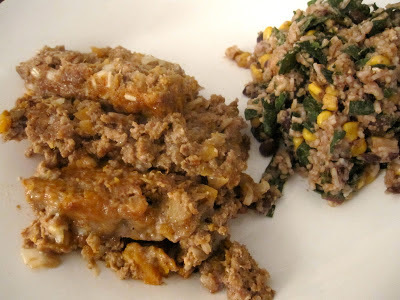 So this is that amazing rice salad I told we had along side our sweet potato meatloaf. 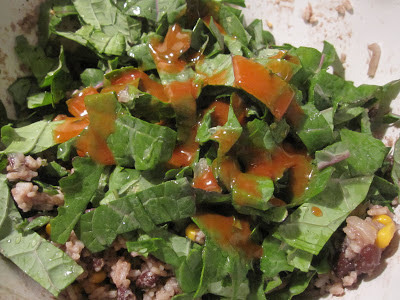 (and then along side our burgers another night and as lunch again the next day) It's such an easy thing to throw together and my favorite part about it is the texture. We threw in a few random bits and pieces so that every bite is different and better than the last. Also it's a plus to have on hand because it's really great served warm or chilled. Did I mention it's chocked full of goodness and really inexpensive to make? Well it is. First step- boil some rice. I think we did one cup of jasmine... but brown would be amazing, too. 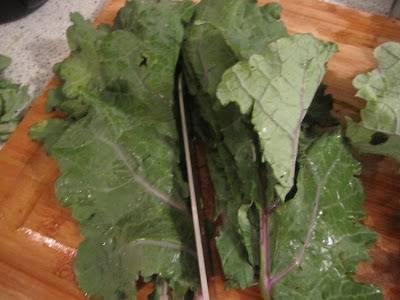 Set it aside to cool while you prep the other goods. 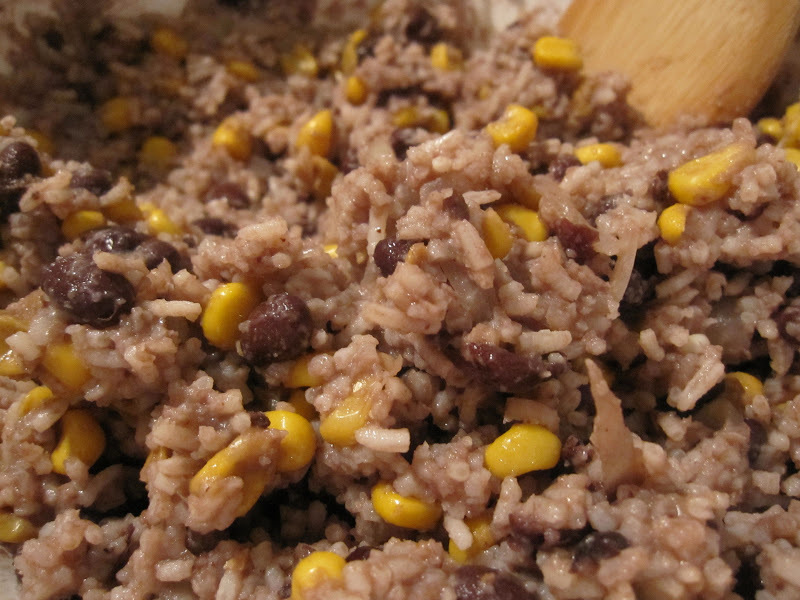 Toss one can of black beans and one can of whole kernel corn into a small saucepan and lightly season with salt and pepper. Let it simmer for just a few minutes. 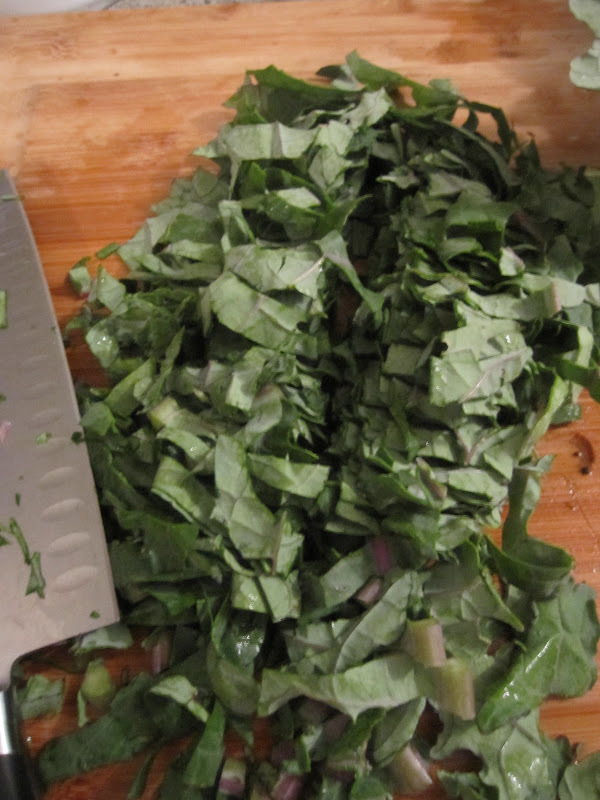 Finely chop an entire bunch of kale. I like to do it lengthwise first, right down the middle and then skinny strips horizontally from there. In my opinion, that's the best way to eat lettuce... I know, it tastes the same no matter how you cut it but... c'mon it's like hospital ice, or Sonic ice... you know those awesome crunchy little ice morsels? SO much better that way, no? Yes. 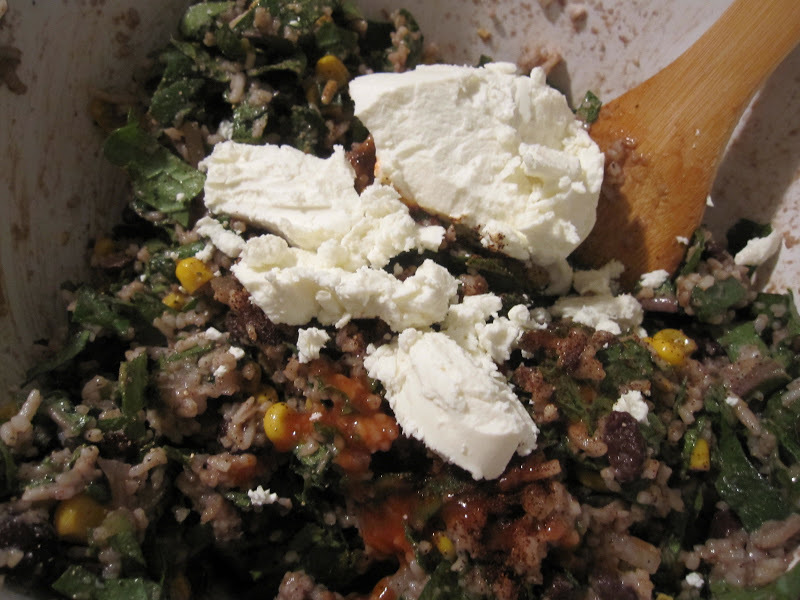 In a big mixing or salad bowl, combine the rice, beans and corn until well combined. Drizzle in a little extra virgin olive oil and toss in the chopped kale. Dash in a generous amount of hot sauce, we used Frank's Red Hot to give us that vinegary kick, and mix it, mix it, mix it until it can't be mixed anymore. Now chunk in some soft chevre (goat cheese... i want to start using that word more often) and gently toss your amazing salad. Voila! There's that beautiful, wild, unsuspecting rice salad over there, perfectly complementing the main squeeze. Give it a try! But listen, don't just think of it as a side... top it with lime grilled shrimp, shredded mexican chicken, or serve it up a la carte! And beware... it'll haunt you a little bit. It's no ordinary salad... it is, in fact, a lot of rice, so it'll be in your fridge awhile. So instead of getting bored with it, get creative with it! Give it a second and third and fourth life... isn't that what good, creative cooking is anyways? Happy Thursday dinner making, sweet friends! I'm more likely to read fully an actual book that I can feel the pages with my fingertips as I make progress. But then I am of an age that influences that preference. Old habits die hard! Depends on the type of book...cookbooks and self-improvement type books are a definite hard copy must-have. I still love having actual books in my hand!! I prefer actual "hold in my hand, turn the page then put on a shelf books". E-books are "out of sight so out of mind" and I can NEVER remember which device I saved them on...lol!